Hey gang! 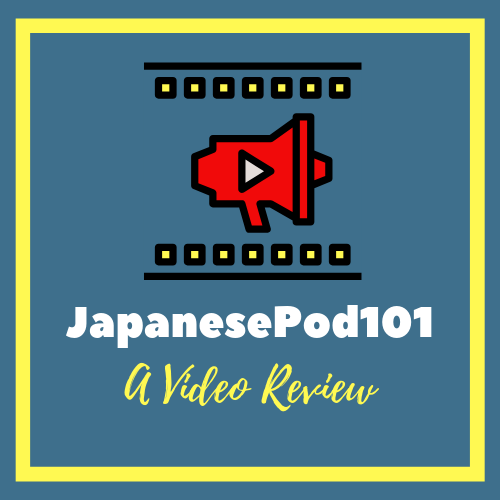 Before we even get started with this Japanesepod101 review, I want to let you know that YES, I am an affiliate for the Japanese pod. If you decide purchase this program through any of the links on this page, I do earn a commission for it. However, I do want you to know that I would NEVER recommend anything that I haven’t tried myself. That being said, Japanesepod101 has been and continues to be an effective study tool for me. As of 2017, I am currently both a member and user. Phew! Now that all of that stuff is out of the way. Instead of giving you all of the flowery reasons for why you should buy Japanese pod, let's try a different approach. Let's do a no-punches-pulled, Japan Guy analysis of this Japanese learning system. What's good about it? What's bad about it? Let's compare, contrast, and do everything in between! Sound good? Here we go! NEGATIVES DIDN'T SCARE YOU AWAY? WHERE CAN I BUY IT? ARE THERE ANY JAPANESEPOD 101 DEALS? IS JAPANESEPOD THE BEST WAY TO LEARN JAPANESE? Does Japanesepod present lessons in a way that's clear and easy to understand? YES: Each audio lesson has a very clear structure to follow. This makes it easy for you whether your a newbie or an expert. NO: There is so much content available in this system that it can be easy to get lost (yes, even with the learning paths). I judge a self-study system by how much I'm able to retain and recognize out in the real world. There are several lessons with Japanespod where I had AHA moments while speaking, listening or seeing real Japanese right here in Tokyo. Learning a language means being able to SPEAK IT! Basic and Premium members don't have much of a chance for output. Less expensive than taking Japanese lessons in a brick-and-mortar classroom. More expensive than a one-time payment for your run-of-the-mill, Japanese textbook. BUT because the system delivers more value than what you pay, the price is more than fair. I tried Japanesepod years ago before becoming a consistent member. I tested the waters first, and when I needed to cancel, everything was quick and easy. Solid support on the billing side. The lesson side appears to have decent support as well. There are regular responses to questions about lessons in the comments section, not to all of them, though. More support for Premium Plus Members? Japanesepod101 is one of many language learning programs jointly partnered with the company Innovative Language. This program started back in December of 2005 and has been helping Japanese language learners improve ever since. 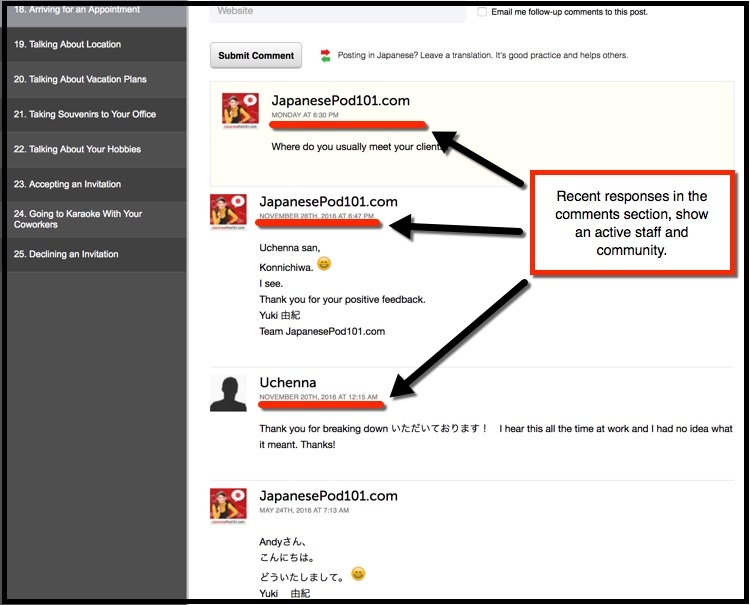 In essence, Japanesepod is a comprehensive, online, Japanese-learning platform. It’s basic, premium, and premium plus plans are designed to allow desktop and mobile users easy access to Japanese language and Japanese cultural lessons at a reasonable price. Let’s kick this off our first pro with the one that matters most of all! If the lessons aren’t good, then there’s really no point in using the system in the first place. You’ll be happy to know that Japanesepod is one of the good systems out there (that's why we're doing a Japanesepod101 review in the first place). Genuinely good, gimmick-free lessons. I've been a Japanesepod member since 2015, and while I can’t say I use it everyday, I do make time to use it on a weekly basis. I hesitated to join at first because I hadn’t heard much about it. However, once I joined and tried some of the lessons I was pleasantly surprised with the lesson quality. Honestly I wouldn’t have stayed a member for this long if the lessons were sh#t (pardon my French…er…Japanese). I would have had no problem making full use of their refund policy. The lesson length makes it easy to go through three or four lessons without feeling like you’re losing your mind. 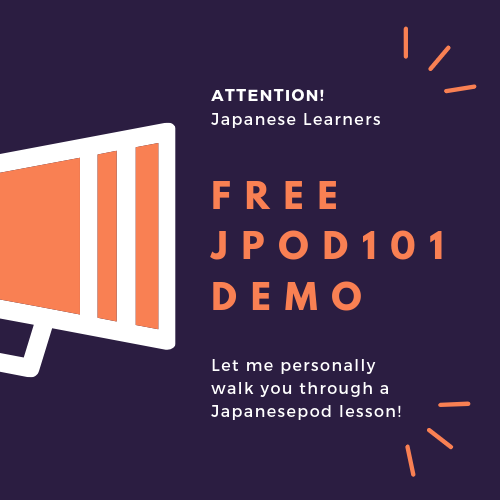 Regardless of the lesson length, JapanesePod does an excellent job of making clear, concise lessons that you get something from each and every time. In addition to the lesson length being just right, I like that JapanesePod focuses on quality audio and video, too. Having crystal clear audio and clear video accents an already solid lesson base. Second, when the teachers actually go through the Japanese in the course, I like how they reference and prompt you to say things that you’ve studied in prior lessons. It’s done in a way that feels natural, easy and relaxed. You’re not cramming things into your brain. You’re learning and reviewing at a comfortable pace. All things considered, the keystone of an effective Japanese system is how much you can actually retain and use in the real world. Japanese Pod creates lessons that build on one another, that force you to review and speak often, making lessons a whole lot “stickier” than some of the other Japanese courses out there. I saw this first hand when I had to call Japan Post about a missed package I missed. Because of one of the lessons, the term 不在連絡票 (ふざいれんらくひょう- fuzai renrakuhyou – delivery notice) and several useful related expressions were emblazoned in my brain. This third one is huge for me! A major hangup I have with textbooks is that sometimes the Japanese you learn can make you sound like a textbook during conversation. Sure, you’ll still be understood by the Japanese speakers you’re talking to, but being understood and being natural are two very different things. If you only study from a textbook that uses very straight 丁寧な日本語（teineina nihongo／polite Japanese), you might also have a trouble getting the gist of the real, casual conversations you hear out in the wild (in an actual Japanese environment or on TV). Having different, male and female, Japanese-speaking teachers who have accents and speak at different cadences, really helps you tap into what real Japanese sounds and feels like from your very first lesson. This area of the dashboard shows you exactly what you’re studying right now and your progress. You can add whatever courses, levels or seasons (sometime Japanesepod does lessons in seasons, almost like a TV show would) you like to this area and it will track them for you. My Pathway is great tool to keep you focused, but keep you moving along. This area shows you the number of lessons you’ve completed, the number of flashcards you’ve reviewed, as well and the total time you’ve spent studying. While I big believer in “it’s what you put into the hours/lessons over the number of hours/lesson you’ve logged” it’s a cool piece of information to see at the bottom of your dashboard. This is the area I probably like to play around with most in my dashboard and YES there are quite a few drop-down options to choose from. But if you ever get lost, the “Dashboard” gets you right back to home base. You can choose “Lessons” (which is where the learning paths are), Vocabulary (LOADS of flashcards here, gang), “My Teacher” (for Premium Plus Members), the Search Bar and more. Having an extensive library of Japanese lessons broken into learning paths is extremely useful. If we take a look a the main page of the user interface, click on “Lessons” and then “Learning Paths” we see four different tracks we can follow: Absolute Beginner, Beginner, Intermediate, and Advanced. For all intents and purposes I consider myself an intermediate Japanese student. However, with Japanese not being my first language and all, it's one of those subjects where I will never put myself on a pedestal. In my best Rock (Dwayne Johnson voice): IT DOESN'T MATTER how many JLPTs you've passed, IT DOESN'T MATTER how many Japanese textbooks you've gone through, IT DOESN'T MATTER how many written exercises you've done. I’m NOT beyond reviewing the basics. Yes the intermediate lessons in Japanesepod101 are amazing, but I had a several lessons that were so good that they revealed major holes in my game. Jpod spurred me spackle those holes in my Japanese. As a result, I decided to start this course from absolute beginner and work my way up. I think this has been incredibly useful because it allows me to get another perspective on the basics I studied years ago. It’s a great chance to review concepts that I feel pretty solid on. A great example is counters. I don’t have to use all the counters I know on a regular basis. If I go to my local, Japanese コンビニ (conbini – Japanese for convenience store) and say something wrong, it’s not like the clerk is going to slap me on the wrist and correct me. But it’s good to know if I’m making mistakes when I speak and Japanesepod has been pretty helpful in helping me see that. If reviewing has been enlightening for a self-study student like me (a student whose Japanese has been built on a personal study, try, screw up, try again, succeed, repeat cycle). I know someone out there studying on their own will also get some genuinely effective review out of it. My favorite feature of this system is, without a doubt, the line-by-line audio feature. Why? Out in the wild, when using Japanese with native speakers, you will sometimes get that person who talks so fast that you feel like you're in a Japanese wind tunnel. You can't make heads or tails of the conversation! Line-by-line is INCREDIBLY useful because it allows you to catch what’s being said (even at the whizzing higher-speeds of those intermediate and advanced lessons). During the course of a full lesson, you do get to hear a slow version of each and every lesson's dialogue. Line-by-line audio is a great tailoring tool. It allows you the freedom and control to click a button and hear the specific line of dialogue that YOU are struggling with. It’s great way to shadowing/mirror the words you're hearing aloud. Here's an example of what the line-by-line audio looks like. In an actual lesson, each area where you see a speaker icon is clickable. Cool huh? When comparing Japanesepod to a textbook you might buy, community is one of those things that separates the two. Textbooks can be valuable, yet static, sources of information (until new editions are released anyway). With this method, even when audio lesson and videos have been around for a while, members will always have new questions and post them, they will see and understand things in a way that didn't occur to you. That can be incredibly useful. While I won't say Jpod has the strongest community, it is there and it is active. I simply picked a random intermediate lesson and took a look at the comments section. I saw responses to questions as recently as November of 2016 which shows that staff members are still answering questions on a product that's been around for over a decade. Some of the best Japanese students I know didn't learn Japanese in a vacuum. Rather than sitting and being frustrated on their own (which I often do...just being honest), they got a Skype tutor, or took physical classes, or went Premium Plus with Japanesepod 101. They got better using some form of community/feedback-based learning. Because Japanese is one of those languages that can be quite challenging...community matters. Japanesepod101 has a lot positives going for it! Are you interested in trying JP101 to improve your Japanese? Our first drawback has to be the biggest negative for me. If you’re a beginner, I think parts of Japanese Pod might feel like overkill. Heck, even if you're not a beginner it can feel like a lot to digest. Because there is SO MUCH to choose from, so many lessons, so many videos, so much vocabulary to study, it can be intimidating. Even if I tell you to ignore all of the intermediate and advanced content in the member’s site, you still might feel like… a deer in headlights? An American in Japan for the 1st time? A sugar addict in Wily Wonka’s Chocolate Factory? In the user interface, there are “learning paths” you can follow, so you have a clear track of what lessons to study. There are four learning paths: 1) Absolute Beginner, 2) Beginner, 3) Intermediate, and 4) Advanced. Yet there are times when this system can still feel overwhelming. To break through the lesson overwhelm barrier, I recommend going in expecting a TON of material to peruse, choose, and use. Pick a path (even a short one is okay) and stick to it! In addition, I would say judge your progress by the Japanese you’re able to retain and apply first and foremost. Think of completed levels as a byproduct of the Japanese you’re acquiring. For those of you who really get stuck, I’m in the process of making a brief video on how to get started with Japanesepod if you’re a first timer. Please take this second “weakness” with a grain of salt because 1) everyone has a different sense of humor: what I don’t find funny, you might actually enjoy and vice versa. 2) To be quite frank, the times where the dialogue “cheeses out a bit” doesn’t really detract from the course. No disrespect to anyone on the JPod’s staff, but there are times during the English discussion areas of the audio that sound a bit forced or where jokes fall a bit flat. I think this happens in part because during discussions, you’ll have both native English speakers and Japanese English speakers conversing with one another. As a result, it feels like there's a slight disconnect between the host’s humor and the Japanese, English speakers comprehension of the jokes/comments being made. Third, the text/PDF element of jpod101 leaves a bit to be desired. While there are examples of the grammar points as well as some limited kanji practice worksheets. This is where Japanesepod leaves you hanging a bit. I seriously doubt you’re going to master kanji going through Japanesepod worksheets. But in the context of this review, especially for beginners, just getting the kanji exposure should be enough. How Japanesepod remedies this issue? : It doesn’t. Sure the lesson notes are a good supplement to each audio lesson, but I don’t think that’s the point. This course doesn’t strive to be all things and that’s part of what makes it unique other systems. IT AIN’T A TEXTBOOK! And it doesn't try to be one. I feel like most initial users sense that going in, and the creators designed it that way on purpose. It’s a comprehensive library of audio/video (more audio of course) lessons at a reasonable price. I know that the fourth con is touted as one of the strengths of the program. But if we're being 100% honest in this Japanesepod101 review, then I have to call "bovine scatology" (BS) on that. In theory you’re supposed to be able to hear a word or phrase from a native Japanese speaker. And when you say the word/phrase, you’re supposed to see the sound waves of the native's voice in relation to your own. In theory this helps you nail the pronunciation side of Japanese, but...meh. So what's my big problem with this feature? To this day, after having been a member for about a year…I CAN’T GET THE FRICKIN’ THING TO WORK! Maybe it’s my Mac? Maybe I need to contact support? Who knows? But because the rest of the program is so strong, this is a minor thing for me. I did finally get the blasted voice recorder to work. I'm still not exactly sure what the issue was. But even after having a chance to actually use it. It seems like the recorder (while not bad) could be better. It gets to be more about timing your recording and sliding it to the right place more than focusing on pronunciation. Despite it working now, I still consider this feature weakness. No doubt it's a feature JP101 will improve on. No system is perfect, but Japanesepod could still be the right fit for you. Still want to try JP101 for yourself? 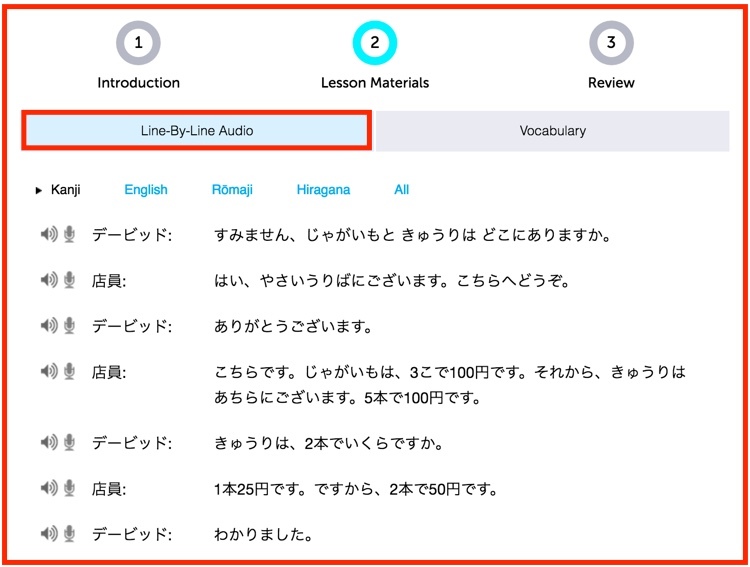 While this review focuses mainly on the beginning Japanese student, there are great study tracks for complete newbies, beginners, intermediate, and advanced students. Even for those who feel like your Japanese is intermediate and above, you’ll find a slew of lessons that’ll give you a run for your money. Lazy Asses – Sorry to be blunt, but if you’ve gotten this far in this japanesepod101 review, odds are you’re truly looking to improve. Much of JP101 is listening based, but you do have to actively listen, put in work, do the assignments, say things out loud, and practice (for God’s sake!) to get better. As much as I want to give you a metal doohickey that you can jam into the back of a input on your neck, and before you can say "Agent Smith," you’re fluen...that tech doesn’t exist yet my homies. 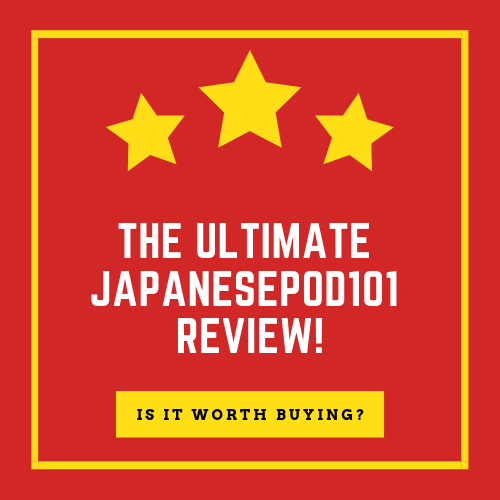 What would a Japanesepod101 review be if we didn't take a look at pricing! Of course I wouldn’t mention this to them directly (lest they raise the price of their membership) but for what you get with Japanesepod101 I think it’s underpriced. The one-month, Basic Plan starts at $8.00/month, the Premium Plan starts at $25.00/month, and the Premium Plus Plan starts at $47.00/month. In addition to the monthly plans, there are savings built in if you decide to go with one of their larger plans (see the price breakdown below). Which one am I using? I’m currently using the 3-month, Premium which runs me $66.00 every three months (or $22.00/month). The price tables above show the breakdown of the premium plans (because that's what I'm using AND because I didn't want to price you to death). There are one, three, six, twelve, and tweny-four month plans for Basic, Premium, and Premium Plus Memberships. Which one is the best? It really depends on your budget. I recommend choosing a plan that you can comfortably afford that stretches your Japanese limits. A major difference between the Basic and Premium plans lies in many of the lesson-specific tools and Japanese resources you get (the voice recorder, line-by-line audio, customizable flashcards, grammar accuracy checker, and others that I've had a chance to delve into yet). 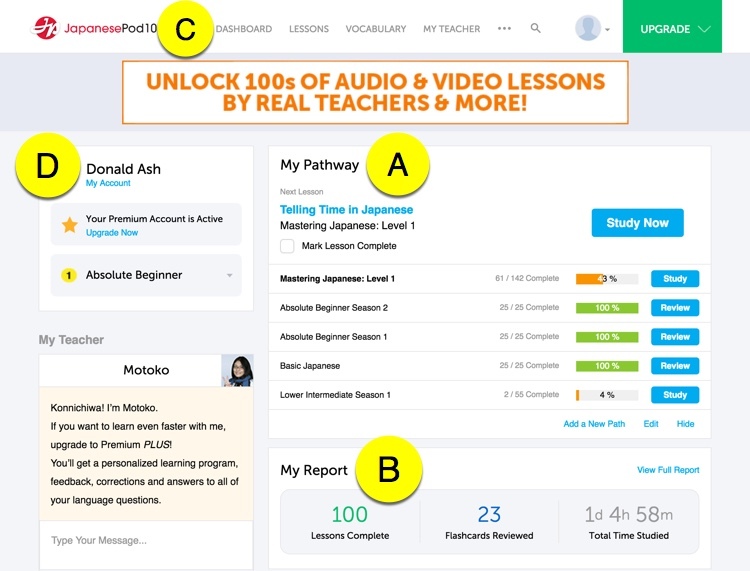 Japanesepod Premium and Premium Plus plans differ because of the Professional Assessment, Personalized Learning Program and 1-on-1 Instruction that you get (I can't speak on whether these services match or exceed their value because I've never used them). Why did I love this lesson so much? Because it triggered a very scary memory. I'll never forget being here for that 2011 earthquake and tsunami. I remember how much blogging on this very site helped me cope with the fear I was feeling back then. This lesson shows how funny Japanesepod can be. To me, learning Japanese shouldn't always be so formal and serious. Where's the fun in that?!? I'm a huge proponent of the "learning should be fun" philosophy. After going through some of the lessons, it seems like Japanesepod creators might feel the same way. I'm going to say "no." Not because Japanespod isn't a good system, because it is. I say no to this question because "best" is relative. Regardless of which Japanese study methods are most touted, or most popular, you really have to judge what style of learning works best for YOU. 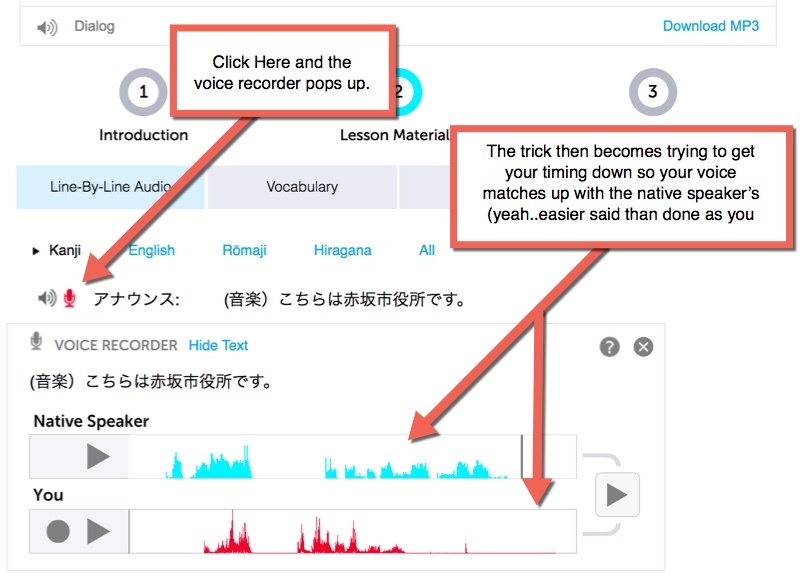 If Japanesepod gets you fluent, then it's the best system for YOU! The only way to find out the real answer to that question is to get in there, actually use it, and see how effective it is for you. Because Japanesepod is a standalone product, you won’t see Amazon reviews posted for it. All things considered, if I had to give it rating based on the Amazon five-star system. I would give it 4.4 out of 5 starts. Nope, that’s not a misprint! I genuinely feel like this system is the real deal, even if you go back and look at lessons that may have been recorded a while back, they still hold up. If we were measuring based on the A-F grading system (in many American schools) I’d say it's in the B+ range. For any of you Japanese self-study students out there who are looking for a method to get quality Japanese instruction (while not perfect) I really think the JapanesePod System will go above and beyond your expectations. While I can’t claim to be a Japanesepod expert, I am currently a member (As of 2017). If you have questions about this system, I’ll do my best to answer them. You can use the comments section below or the “Contact Me” form in the menu bar at the top of this page. 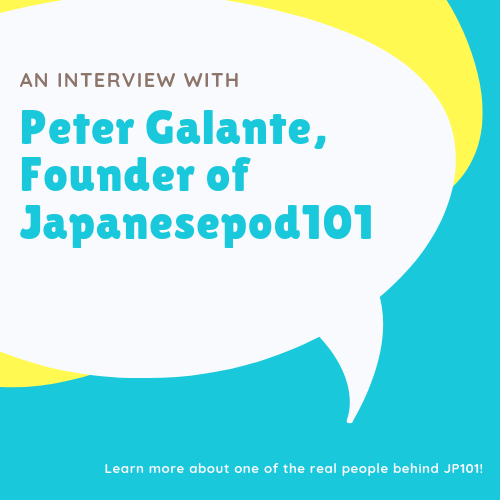 WANT TO KNOW MORE ABOUT JAPANESEPOD 101? Don't miss this fun-filled interview! Let me walk you through a demo lesson, so you can see how it works.